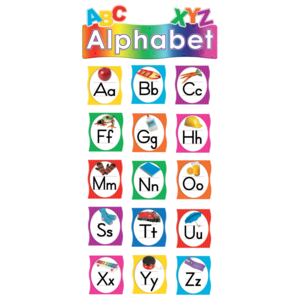 Display this colorful guide to help children learn the alphabet--and how to write each letter, both uppercase and lowercase. 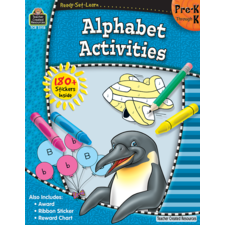 The teacher's guide suggests several activities including letter sorting, sequencing, and matching. 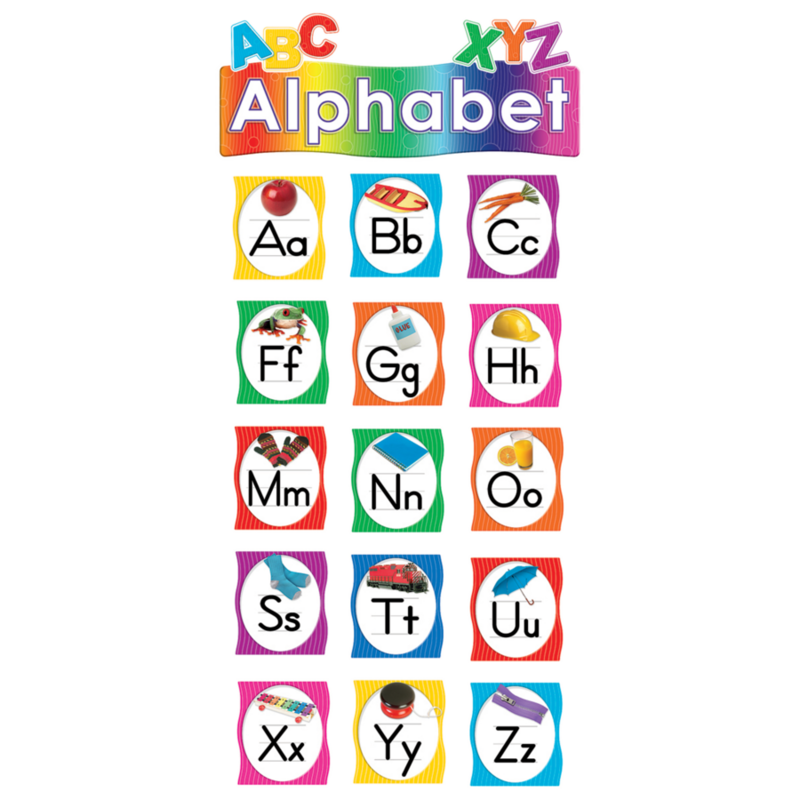 Each letter pieces measures about 5" x 5 3/4". 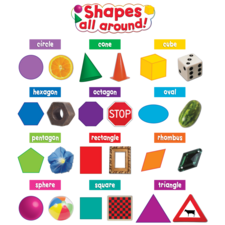 29 pieces total.